Sharing with you a good deal that I bought in Metrodeal. Affordable, relaxing and accesible, these spells out Tagaytay. With just an hour and half drive from Manila, surely it is a sweet escape. It was my first time to purchase an accommodation voucher from Metrodeal for an overnight stay in Tagaytay Country Hotel for Php2899. Expensive as it may seem, read over and discover what else does it offer. You may proceed to bus terminals in Buendia Taft or Cubao and choose from any bus line going to Nasugbu, Batangas like DLTB, Ceres or you may also consider Erjohn and Almark bus passing along Ayala avenue going to Olivarez, Tagaytay. 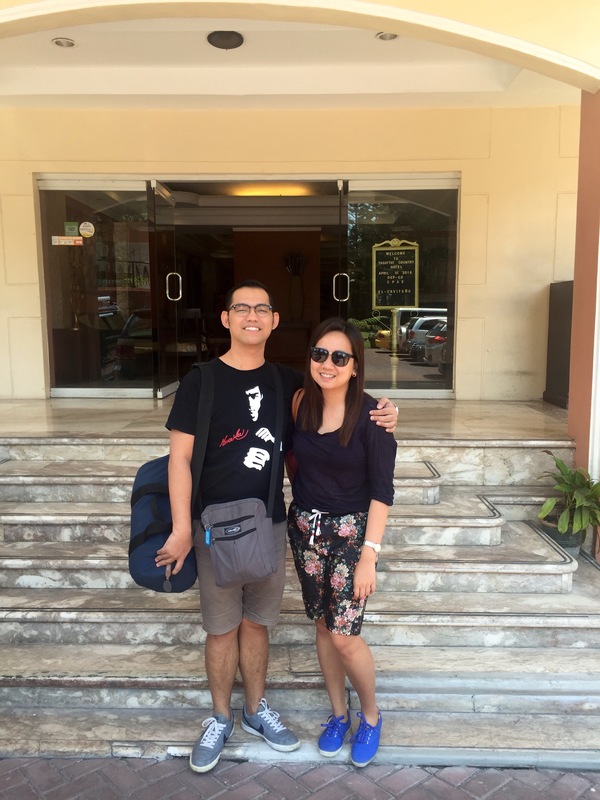 The hotel is accessible, located along Aguinaldo Highway. You have to alight at Olivarez bus terminal/stop. The hotel is located across Olivarez Collage. In case you get lost or need assistance, hotel receptionists are very helpful. You may call them and they will guide you through. The deal I got was for a superior room (twin-sharing) good for 2 persons. The room is spacious with its own bathroom, cabinet, refrigerator and cable TV. Towels, toiletries and slippers are readily available. What’s so hot with the deal? It comes with a 45-minute body massage or 45-minute body scrub at La Costa Spa. The spa is located within the compound of the hotel. At the entrance, the masseuse will welcome you cheerfully. About five rooms were located in the second floor and can accommodate just the same number of individuals. We both opted for body massage. The staff were courteous and will ask you each time if the pressure is ok. 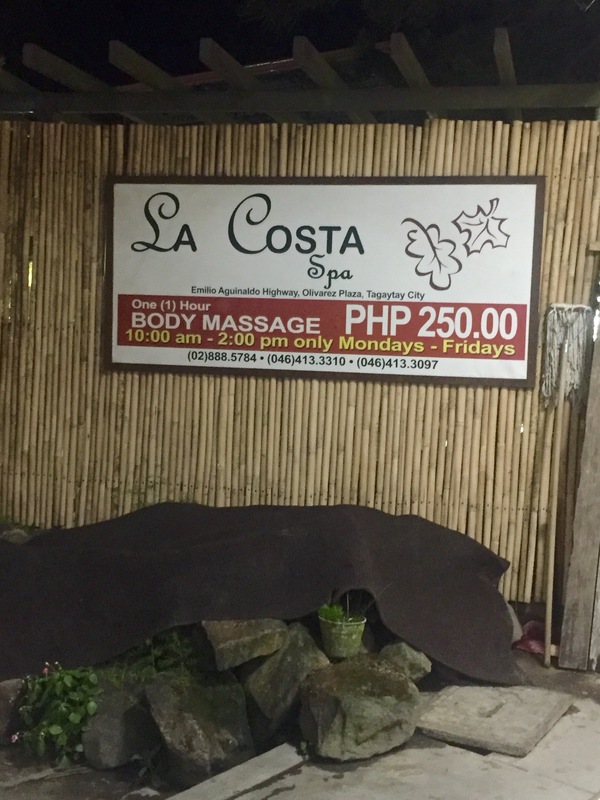 I usually go for soft massage and I had a relaxing experience with La Costa Spa. What is missing though is the sound of soothing music, no complimentary hot towel or tea. But then, that might just be what the deal offers. After a relaxing massage, our tummies were enraged and craved for a sumptuous food. Another catch of the deal? It includes dinner at Kubo Resto-Bar and breakfast at Country Cafe. With 5 big kubos or nipa hut, Kubo Resto-Bar has 4 sets of meal to choose from. Each consists of 2 cups of soup, 2 main courses, 2 drinks and a platter of rice. For the main course we had Inihaw na Pusit (Grilled Pusit) and Ensaladang Talong (Eggplant Salad). Not included in the set meal, we added Sizzling Tofu. The eggplant doesn’t delighted my taste as I enjoyed eating it with bagoong (fermented fish). Darwin loved the Pusit (squid). I had a blast with the Sizzling Crispy Tofu, as usual. For dessert, we had Halo-Halo. Tagaytay is known as one of the coldest place in the Philippines, but who can resist Halo-Halo? Well, we can’t. To pump up our day, a healthy breakfast is a must. 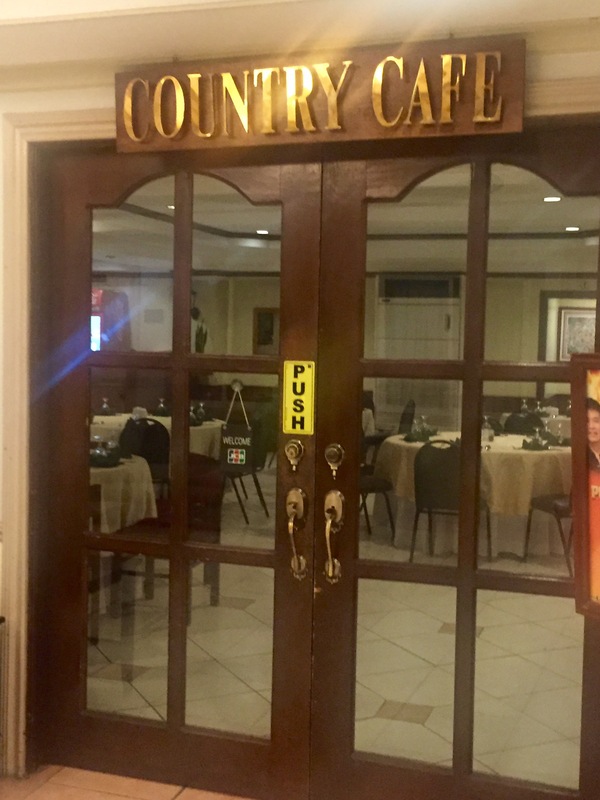 Country Cafe offers the usual American and Filipino breakfast. It has a cozy ambience that will make you feel like you are in a fine dining restaurant. I ordered American breakfast (omelet, bacon, bread with butter and jam) while Darwin had Filipino meal (tocino, omelet and garlic rice). Both meals come with a cup of brewed coffee. The meal is very satisfying and I commend the good service. Oops the deal doesn’t end here.. The Php2,899 voucher carries with it a whole lot more. Guests can enjoy free use of wifi, swimming pool and other amenities. Just ask the receptionist. Since, we have to check-out at 12noon and the day we were in Tagaytay is Manny Pacquiao’s last fight, we had to stay longer for lunch to watch. We had our lunch at Country Cafe and voucher also comes with 10% discount on food and beverages. We weren’t able to make use of the discount because I forgot that we do have it. So for those who’ll purchase this deal, keep that in mind. And yes, that’s us. See our smiles? Thank you to Kuya Guard for the shot. Before leaving, the receptionist asks us to rate our stay, you might probably have an idea on how it went for me. For improvements, I suggested for a water dispenser and stable wi-fi connection. I often hear complaints on buying vouchers from various online deals, some say it is not what they paid for, some had a hard time transacting with the seller, but for me, I might had a beginner’s luck. 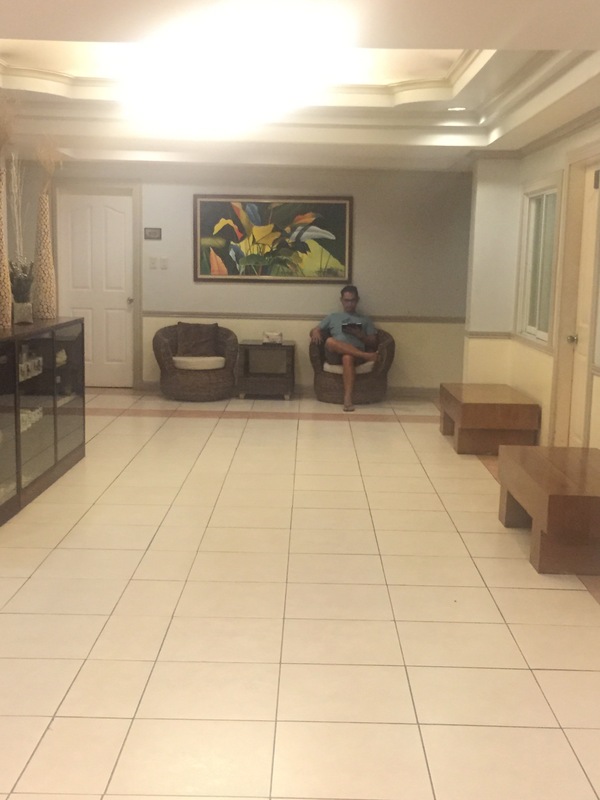 Then again, I owe it to the management of Tagaytay Country Hotel for exceeding our expectations.